Jared Unzipped: When Hard Work Pays Off. When Hard Work Pays Off. I just dropped almost $700 on a new computer. In the past few months, Crystal and I have been hustling hard, as to not have to put out a single dime of our own money to pay for it. I feel pretty damn good right about now. Very literally, we made money appear from right out of the trash. Could we have just bought a computer at any time? Of course. But this... oh it feels so much better. We spent all evening determining the specs on the new PC. Now that the order has been placed and I have to wait three weeks to get it, I'm just going to sit back and relish this moment for a bit. 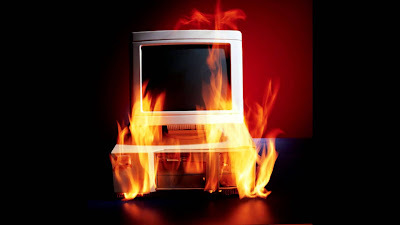 Let's watch some videos of computers being destroyed. Ah, so satisfying. Celebrating The Jack Of All Trades. The Boxer And The Bear. Why The $15 Minimum Wage Doesn't Work. Well Hello There American Toad! A Short Ray Bradbury Documentary. Brown Sugar Pie - The Fattest Recipe Ever? Is "How Do You Do" Creepy? To My Mother-In-Law, On Her Birthday. I Climbed A Mountain Today. Can Cruise Control Solve Traffic Jams? The Origin Of The Foot Long Hot Dog.